If you've been shopping for a BOB stroller, you know how hard it is to find deals on them! 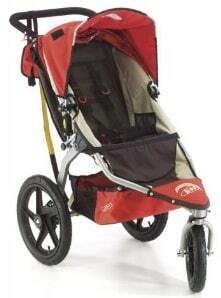 ShopZoolu.com has the BOB Revolution stroller in Orange on sale for $329.95. Use ShopZoolu.com coupon code GO2011 to save an extra 20% off your purchase, making your total price $260.76! That's 33% off the regular price of $389! Shipping is free on this item, and you can even have it shipped free to an APO/FPO address!